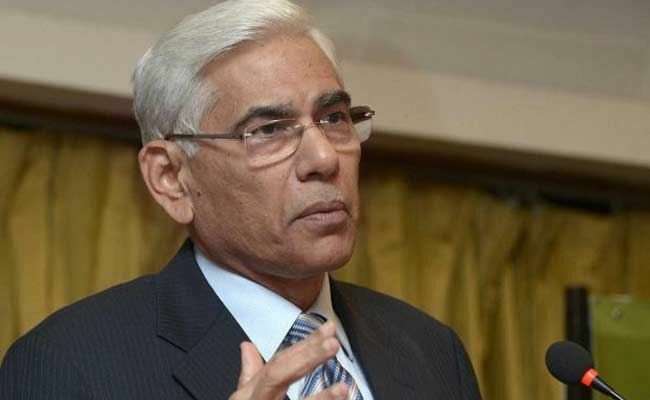 Former Comptroller and Auditor General of India Vinod Rai has been appointed the chairman of a new Bank Board Bureau which aims to reform appointments for top-level posts at public sector banks and improve their governance, reports The Indian Express. Rai's appointment was announced in a statement from the finance ministry after Prime Minister Narendra Modi announced the constitution of the Bank Board Bureau on Sunday. Rai was the CAG when spectrum allocation losses amounting to Rs 1,70,000 crore during the UPA II government had been exposed. Other members of the bureau include Anil K Khandelwal, former CMD of Bank of Baroda, HN Sinor, former Joint MD of ICICI Bank, and Rupa Kudwa, former MD & CEO of rating agency Crisil. All four members will serve for two years or until further orders. The finance ministry had outlined the structure of the Bank Board Bureau last August, and said it would be constituted by March 2016. Public sector banks have been in the news lately after an RTI application filed by The Indian Express revealed that they have Rs 1,14,000 crore in bad debts. The bureau will replace the Appointment Board, which selects top officials for public sector banks. The Congress has suggested that Rai's appointment is a "quid pro quo". It also queries whether he is eligible for appointment given that Article 148 (4) of the Constitution says the CAG shall not be eligible for further office under the Government of India or of any state after he has ceased to hold his office.